Stress can be caused by multiple factors from financial insecurity to feeling like you are neglecting your family and friends. To minimise the stress that can come as a business owner, follow these few tips. You are bound to lose motivation on occasion when running your business, it’s normal to face these lows as a business owner. However, what matters more is how you pick yourself up and get the motivational momentum going again. You should understand and highlight what gets you motivated, and this will vary for different individuals. Some of the most common things that motivate small business owners are their family, their responsibility to their employees and focusing on why they started a business in the first place. You should keep these in mind and really think about other factors which make you love what you do. Having these in mind will help you get through the more difficult days of being a business owner. You need to have a good support system around you, including like-minded people who are in a similar place to you. You could start off by networking and getting to know people in the same industry as you. As the boss and the business owner, you are not very likely to get positive or negative feedback on how you are doing from your staff, and feedback is even less likely if you are working alone. So try to get people in your circle that are in a similar position to you so they can you offer constructive criticism. It’s important to open up, share and talk about your stresses and mental health. You can even do this with family and friends, as they are the people that know you the best. By talking about it, you may be able to get a better perspective of why and how your stress levels build. It’s expected of you as a small business owner to be busy and be working on multiple things at the same time, which can lead to high levels of stress. You need to get organised and start prioritising, this will give you enough time to work on the most important tasks first. By working in an order of most important to the least, you will relieve some pressure as you will have time to carry out the tasks in an appropriate order. You should also learn to delegate and understand that you don’t have to do everything by yourself. Some tasks which are not particularly important but need to be done can take up large amounts of time. Instead of wasting time on these tasks, delegate them and have an employee carry them out for you, or outsource them if you don’t have a team to help you. Create a mental and physical health and wellbeing culture in your business, and openly discuss topics to promote a healthier workplace for yourself and your employees. Around one in six employees are dealing with mental health problems, these include depression, anxiety and stress. This will obviously have an impact on the workplace and the environment that’s created. There is a strong correlation between mental health and motivation/productivity in the work place. Creating a healthy open workplace is essential to the success of your business. You should take regular breaks and encourage others to do the same as this actually boosts productivity. On your lunch break, take a walk and go get fresh air. You need to set an example for your staff, so you should encourage your team to follow your lead. A healthy workplace will mean a more successful business. It can sometimes be difficult to stick your schedule, but you absolutely must try to take time out occasionally. This could vary, it could either be taking an hour out for lunch, a weekend trip away or not missing your child’s Christmas play. This will enable you to spend time with the people that are most important to you, ultimately making you happier. It will also mean that there is less strain on your personal relations. You should also just take time out for yourself; spend some time doing something you love as it will help you clear your mind. This will also be beneficial for your business as it will allow you to have a refreshed mind with a new perspective. Many entrepreneurs such as Mark Zuckerberg regularly take out time and spend time in the woods with nature to energise and think about everything from personal life to the next business move. The combination of three will make sure you have a healthier and more productive lifestyle. They are the three most basic things that you need to do in order to release stress and recuperate after a long day. Exercising regularly will benefit you physically but it can also work wonders for your mental health. It enables your body to increase the endorphin levels, which make you feel better and happier. Although the amount of sleep each individual needs varies, you should still try to sleep for around eight hours. Getting enough sleep is essential to decreasing stress levels and increasing productivity. It will also ensure that you have a clear mind, which will make you a better decision maker. Ensure that you have a balanced diet, and make a conscious effort to eat clean and healthy food. When you are over-working and have minimum time, you are likely to go for the easiest and most comforting kind of food. The problem is that those tend to be fatty foods, which don’t benefit you, rather they leave you feeling lethargic and tired. You just need to get organised and think a little more about your food to ensure a healthy diet. 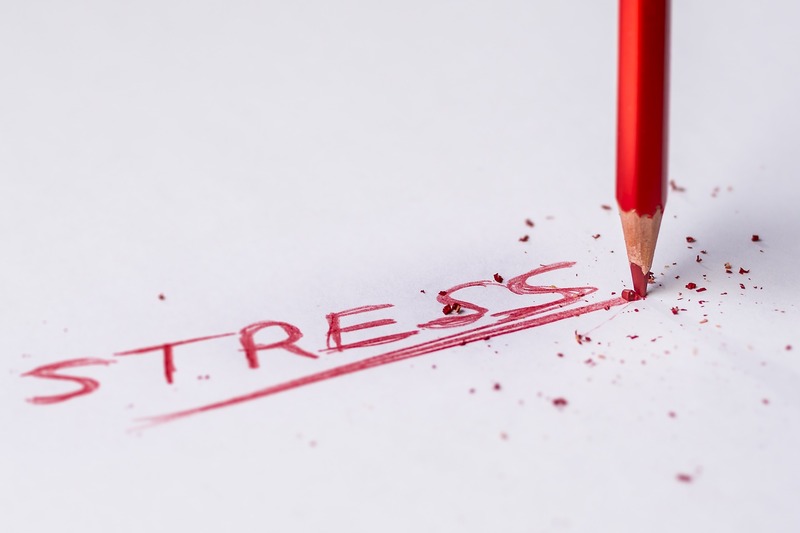 Stress is inevitable in most work places, even more so if you are running a business. However, these are some of the steps you can take to ensure that the stress doesn’t become overwhelming. You can find more mental health and wellbeing tips here.